Instructions for pointing your 1&1 custom domain name at your Fabrik site. Log in to your 1&1.co.uk account. 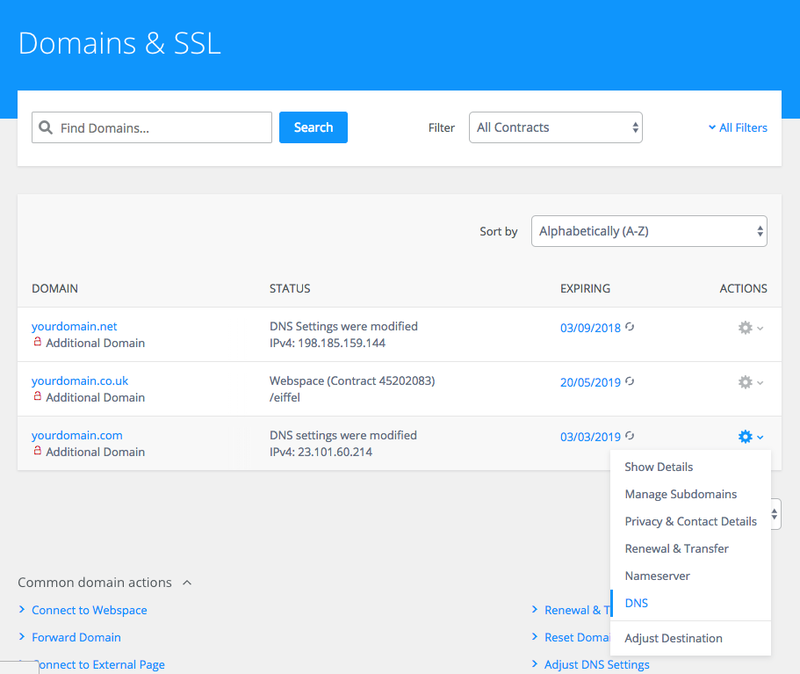 Once logged in, from the welcome screen select the Domains & SSL section. Important Note: Please make sure you don't have any AAAA records configured for Host Name '@' or 'www'. 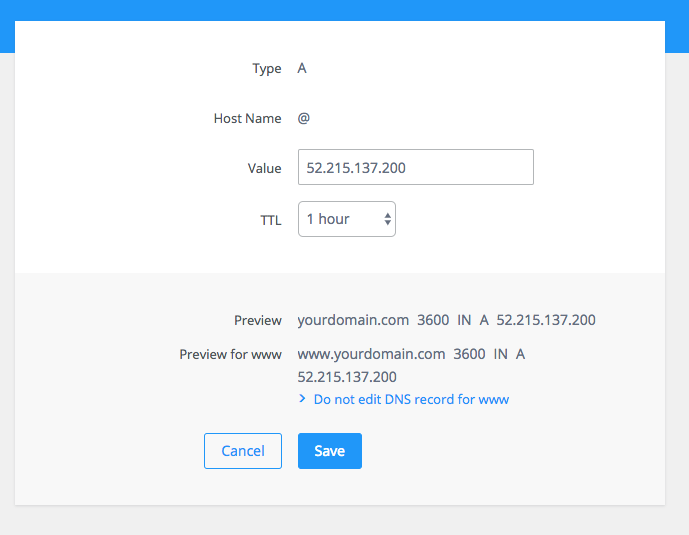 Thats it all done, double check and make sure you do not have multiple DNS records with the same hostname as that will cause you problems.